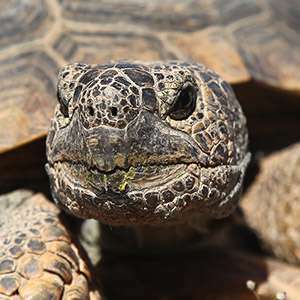 The desert tortoise lives up to 80 years and grows up to 15 inches long. Its domed shell can be brown, gray or black, and often has distinctive growth lines. If it feels threatened, the tortoise can withdraw its head and limbs to protect itself. To deal with the extreme heat of the desert, the tortoise spends most of the year in an underground burrow. It can be found in a variety of environments, primarily in loose soils at elevations of 2,000 to 4,000 feet, though it can also be found as high as 7,000 feet. The desert tortoise inhabits the Mojave, Colorado, Sonoran and Sinaloan deserts in the Southwestern United States and adjacent Mexico. It has two subpopulations — the Mojave and the Sonoran — that are separated by the Colorado River. Road construction, energy development, grazing and off-road vehicle use have degraded and destroyed habitat for the desert tortoise and continues to threaten the species. Other natural and human-caused factors, such as disease and poaching, add to the challenges faced by the species. The desert tortoise recovery plan focuses on building strong partnerships to protect existing and augment depleted populations. 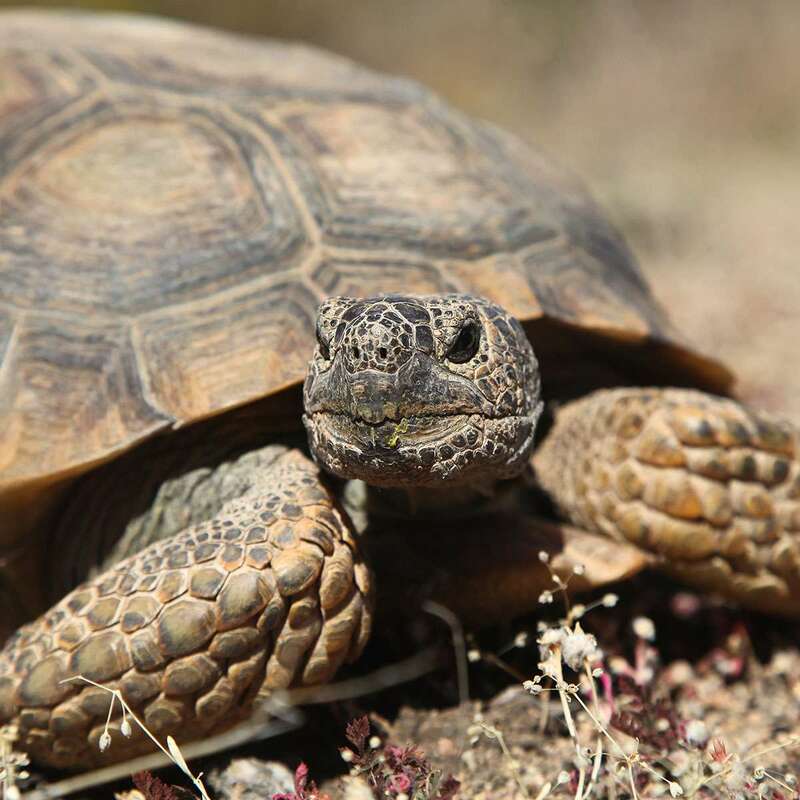 Land managers are working to conserve habitat where it is intact, restore habitat where it has been damaged, and prevent human activity from creating additional challenges to the ongoing survival and recovery of the desert tortoise. NPCA is working to add 32,000 acres of desert tortoise habitat to Death Valley National Park, helping to ensure the permanent protection of that land and the species that depend on it.